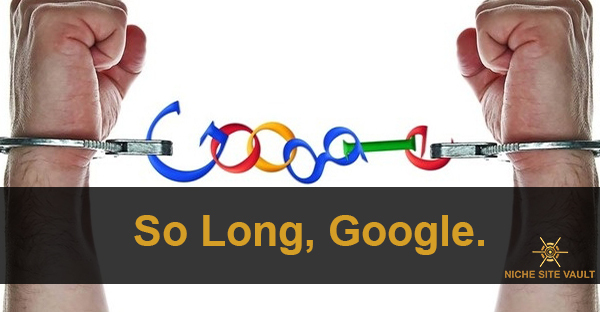 Goodbye Google SEO - It's Been a Long Run! Man, what a long and winding road it has been with niche sites. It’s a murky world and when Google hits your niche sites, you can close business. I’m saying this from experience. The effect of the August and September Google updates have reverbed greatly through my sites, cutting off their traffic by between 80-90 percent. The results are obvious; a major reduction in affiliate income. I had underestimated the impact Google’s August’s update. When the update finally sunk in September and a good part of October, my sites lost significant traffic. I got lazy and demoralized with each passing day when I saw the impact of the updates on my niche sites. I took a wait-and-see approach. However, if you own sites in multiple niches, you probably know this is not true. My health-related sites, which can be classified as YMYL sites (but I highly doubt they are because I’m only reviewing non-essential health-related items) were hit. But also, my tech hobby site was hit. The site has nothing to do with YMYL. Anyway, it’s time to come out of the cocoon, hopefully, stronger and determined to win this time. Back in 2012, I was a full-time freelance writer and one of the best SEO companies in Kenya, most of the topics I was writing about were on Google favoring “quality content”. This was during the Panda Update era and I read horror stories many online marketers, as well as small businesses, that had closed shop due to getting hit by the Panda algorithm changes. I have to admit I really did not see what the hullabaloo was then. I mean, simply write great content and you will be on Google’s good side. Now, with the August and September Medic updates, I think I have a good idea of what the majority of the people affected by the Panda Update were feeling. I mean, you can you go from making thousands of dollars a month to just a few hundred simply because of an algorithm change. I’ve felt it this time. And the impact nearly made me quit the whole niche sites thing. However, it’s time to do it all over again. A few years ago, I read in a particular forum (I can’t remember which one exactly it was) how dangerous it was to rely on Google for traffic. But I was blinded and did not heed the advice. You see, sometimes advice is on your face but you cannot see it. Especially when you are not getting hit by algo updates. So, there I was, relying on SEO to get traffic to my sites. And there I was, setting myself for a trap. If you are getting 50% of traffic through SEO (and I’m talking about Google here), take heed before you become the next victim. You may have survived the list of animal-themed updates Google has been pushing over the years. However, one day, you will get caught. And when you do, it’s best that you have a backup plan. And this is where I say, “Goodbye Google. It was nice to know you”. To really build an online brand, you shouldn’t be relying exclusively on a single source of traffic. If you do, you are just at the mercy of the traffic source. What would happen if the traffic source gets dried up one day? Will you be able to sustain your site? Will your income get a hit? So, whether you are exclusively relying on search engines traffic, social traffic, email traffic, banner traffic or any other types of traffic, you need to diversify. Perhaps I’m not the most qualified person to be giving this advice. But what the heck, if it will help someone out there, then I’ll have accomplished my mission. 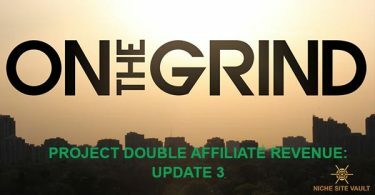 I wrote this article to provide an update on why I did not post my Project Double Affiliate Revenue update as well as provide direction on the next steps. After taking a sincere look at my online business setups, I’ve realized I’ve been playing a losing game. With the odds stacked against my favor all the time. I mean, when you start a new site, you have to wait for the proverbial 6 months to get out of Google Sandbox. Talk of toiling in the field for 6 months without a dime to your name! And all the while, you need to be building links, writing articles, etc. just to hope that you will eventually get traffic. This is what I’ve been doing for the longest time since I started niche sites. But who says you have to wait for 6 months, 1 year, 2 years to make money with your niche site? Oh my, where did I go wrong? But I’m changing now. Moving back in the game wiser, bolder, and stronger. My plan is to diversify my traffic sources and start monetizing my sites as soon as possible. No longer waiting for Google traffic or to get out of the sandbox. I’m going all out and getting the traffic with my own efforts. Eff Google! In the coming months, I’ll be posting various traffic generation tactics that I’ll be experimenting with my sites. I’ll also be posting updates on how the sites are doing in terms of traffic and income. And yes, there’s a new project coming up. It’s called the Project Long Term Safety Net. So, what’s the Project Long Term Safety Net? Well, from the name, this is a long-term project. I’m talking 3 to 5 years. Yes, that’s a damn long time in the online world. But I feel it is worth it. 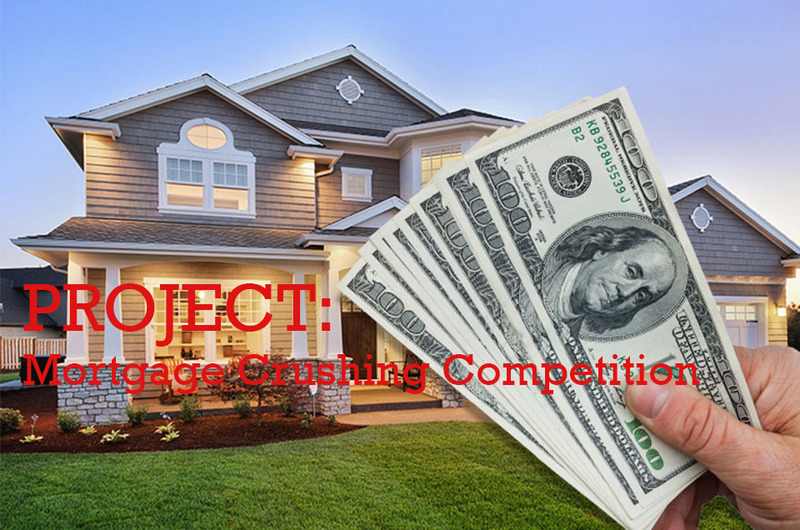 With this project, I’m no longer scraping for crumbs with niche sites. Instead, I’m building an authority site that will be a big brand. This is a brand I’ll be selling for something close to $1 million. Best thing is you will get regular updates of what I’m doing and how the site is progressing. I will be providing monthly updates regarding the project. However, there are many small things that I may be doing, which will not make it on the blog posts. If you want to get weekly updates of the specific things I’m doing on the site, enter your email below to get the updates. These will be small updates with summaries of what I’ve done for the past week and my plans for the next week. Subscribe to Receive Weekly Updates of the $50K Long Term Safety Project. 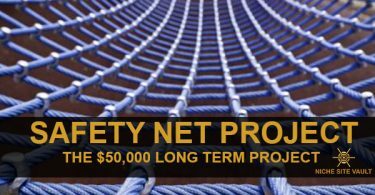 In the coming days, I’ll be posting an introduction to the Project Long Term Safety Net and we’ll see how it goes from there.